The Senate Republican health care bill would leave 22 million fewer Americans with health insurance by 2026 than under Obamacare, the nonpartisan Congressional Budget Office said Monday. 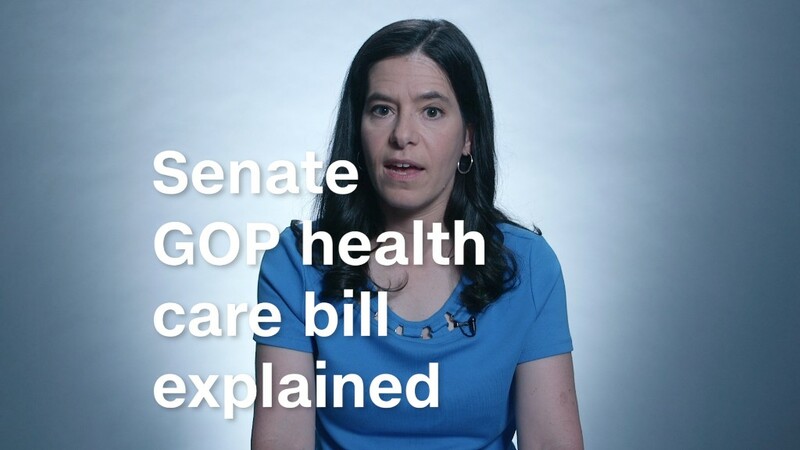 The highly anticipated score answers key questions about the impact of the Senate's controversial legislation made public last Thursday. The analysis also offers clarity to wavering Senate Republicans on whether to vote for the bill later this week. The CBO also found the bill would reduce deficits by $321 billion over the next decade. Senate Majority Leader Mitch McConnell is insisting on a vote this week before lawmakers leave town for the July 4th recess. There are 52 Republican senators, and he needs 50 "yes" votes to move the bill through the Senate. At least five Republicans have so far publicly stated that they cannot support the legislation in its current form. The largest savings in the Senate bill would come from reducing federal spending on Medicaid, which would decline by 26% by 2026, compared to current law. Like the House plan, the Senate's version would end enhanced funding for Medicaid expansion, though at a slower pace, while overhauling the entire Medicaid program. Federal spending on Medicaid would be reduced by $772 billion over the next 10 years, compared to current law. Some 15 million fewer Americans would be covered by Medicaid in 2026 -- a deeper cut than under the House bill. And it would jettison Obamacare's taxes on the wealthy, insurers and others. These provisions, along with some others in the bill, would increase deficits on net by $541 billion, the CBO found. The costliest among them: The repeal of the 3.8% net investment tax on rich Americans, which would reduce revenue by $172.2 billion. CBO found that premiums would likely rise next year and the year after under the Senate bill, but would fall after that. In 2020, the average premium for the benchmark plan would be about 30% lower than under current law, mainly because those policies would cover fewer benefits -- and come with much higher deductibles -- and because insurers would receive federal funds designed to lower rates. Also, CBO found that those with annual incomes below the poverty line in states that didn't expand Medicaid would get hefty subsidies under the Senate plan, unlike in Obamacare. They would only have to pay a few hundred dollars a year for coverage. However, experts say it would be unlikely that these folks would buy coverage since the deductibles would be thousands of dollars a year. An estimated total of 49 million people would be uninsured in 2026 under the Senate bill, compared with about 28 million who would lack coverage under current law. This would reverse years of coverage gains under Obamacare. CNNMoney Senior Writer Jeanne Sahadi contributed to this report.